Nearly 50 years ago, Eugene Garfield, one of the founders of bibliometrics and scientometrics, published the Science Citation Index (SCI), the first systematic effort to track citations in scientific literature. Since then citations have become a standard by which authors acknowledge the source of their methods and findings allowing citations to be used as a measure of a paper's significance. Nature recently asked Thomson Reuters, owner of the SCI, to list the 100 most highly cited papers of all time. After an extensive search of nearly 58 million items including databases covering the life sciences, social sciences, arts and humanities, conference proceedings and some books, Thomson Reuters listed the top 100 most cited work. 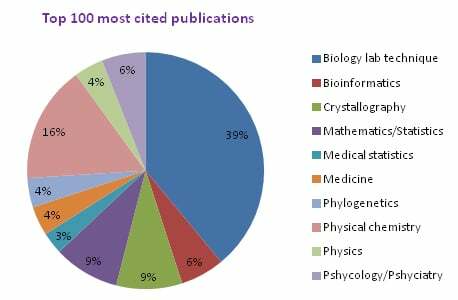 The top 100 list has been dominated by protein biochemistry publications that include papers on protein quantification assays, protein characterization, 2D gel electrophoresis, crystallography etc. This list includes original publications on some popular lab techniques such as PAGE, Western blot, protein chromatography etc. Density-functional thermochemistry. III. The role of exact exchange. After over half a century of citation indices, some key biological lab techniques emerge as the most cited work in scientific literature. Methods for protein quantification, DNA sequencing, RNA isolation, PAGE, Western Blot etc. rank among the top 10. These seminal methods-based papers have become a standard reference that result in a high number of citations. Biologists tend to cite one another's work more often than in many other fields resulting in an increased number of citations in biology lab techniques. The reason that some world famous papers do not make it to this list is because they are often truly foundational discoveries that quickly become part of text books and daily lives becoming familiar terms that do not need a citation. Do you want to accelerate your research so that you can publish your findings fast? 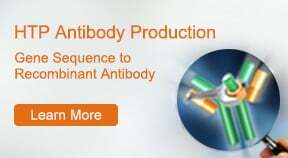 Is recombinant protein production becoming a bottleneck in this process? 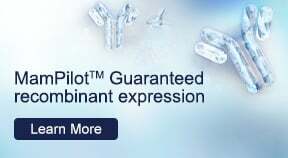 Then look no further – get a free quote for one of our high quality recombinant protein services today. 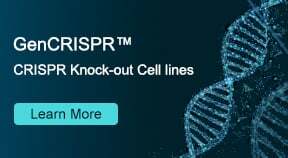 With over a decade of experience in producing a variety of targets, the GenScript production team has shipped >5300 batches of pure recombinant protein to scientists in >80 countries.